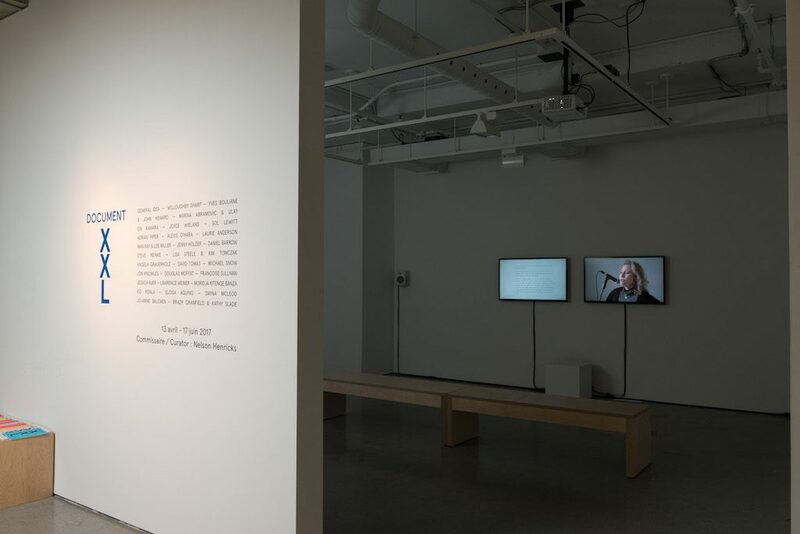 Montreal artist and writer Nelson Henricks curated the exhibition DOCUMENT XXL from Artexte’s time-based holdings. 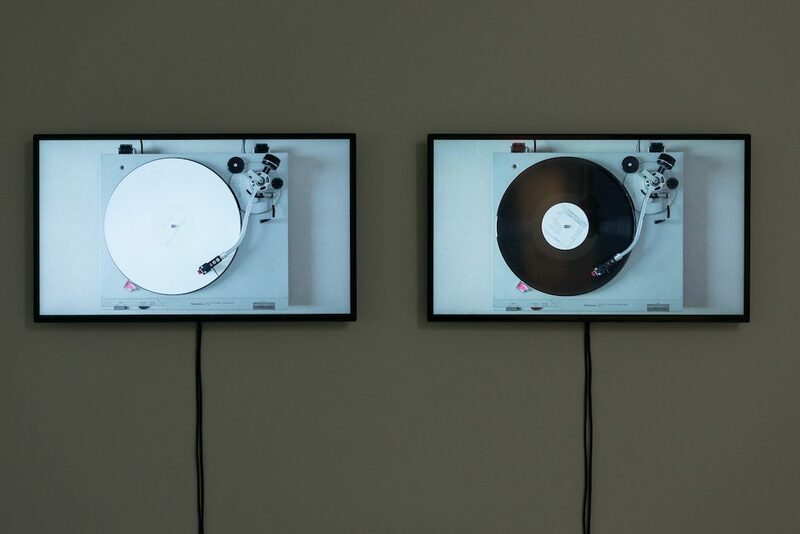 Though widely known as a resource centre for print documentation focussing on contemporary art, Artexte also possesses a significant collection of audio-visual materials: videotapes, DVDs, vinyl records, and other audio recordings. The status of these objects varies: some are actual artworks, others documentary evidence, by-products that frame an artist’s practice and authorship. A range of resources this broad requires a rethinking of curatorial practices. Using the mixtape, the mash-up, the DJ set and guest rapping as models, Henricks situated these recordings in counterpoint with one another, in order to make them resonate differently. Presented as a one-hour program on two video screens, DOCUMENT XXL features video, audio, and print documentation of works by Laurie Anderson, Marina Abramovic and Ulay, Jenny Holzer, Sol LeWitt, Joyce Weiland, among many others. In an etymological sense, the word document refers to the act of teaching. 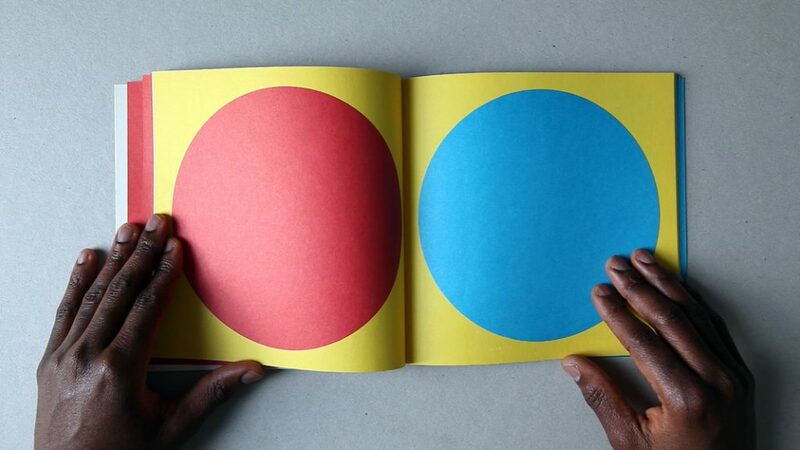 Artist talks, and artists talking about their work, are central figures in DOCUMENT XXL. What are they trying to teach us? What are they saying? Henricks’ curatorial practice reflects upon the themes and issues they raise. Process versus product, movement, politics, and the function of documentation, are some of the thematic vectors engaged by the exhibition. 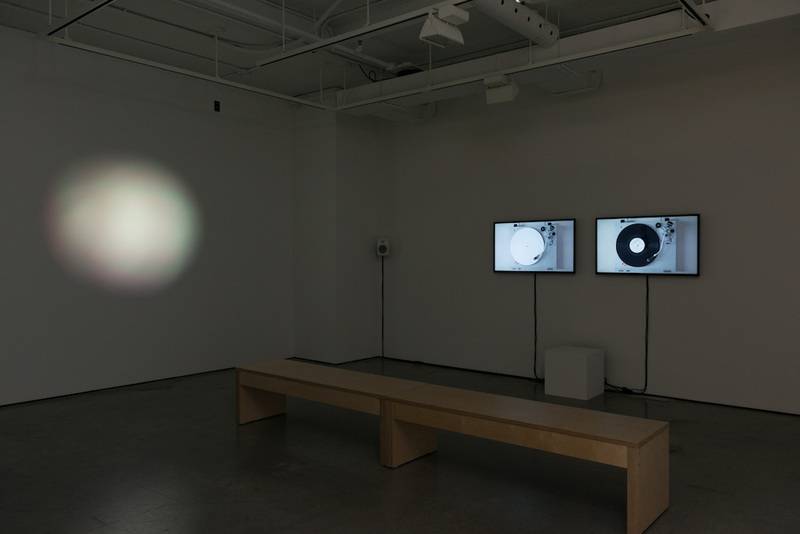 In his art practice, Henricks is interested in the notion of seeing sound. At Artexte, vinyl records are housed in the oversized document collection. Using 12” records and other oversized documents as the starting point for this curatorial project, he orchestrates a conversation between various practitioners, literally multiplying one document by another (X). Henricks explores the dual status of a material object containing time – a physical object that unfolds like a hinge onto a temporal vector (L): an object that is simultaneously seen and heard. To dowload the catalogue essay click here. © 2019 NELSON HENRICKS All Rights Reserved.